A kitchen for today and all your tomorrows, Handleless Europe brings together the genuine elements of pragmatism with quintessential design. Angular functional cabinets in gloss white are combined with the stunning arched island in gloss anthracite; making this kitchen the epi-centre of style and functional flair. Click the button to request a free large sample swatch of High Gloss White and High Gloss Anthracite. Click the button to purchase a Sample Handleless Europe design door in the High Gloss White and High Gloss Anthracite finish. 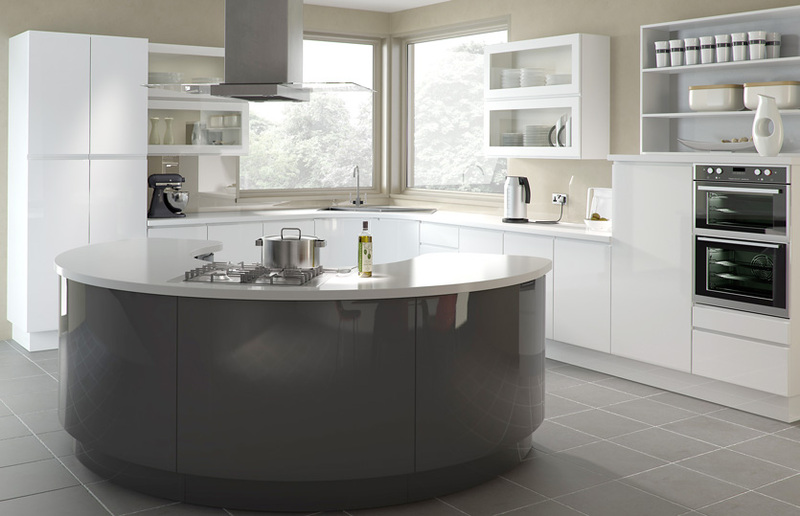 The Handleless Europe design is also available in ALL non-gloss finishes. 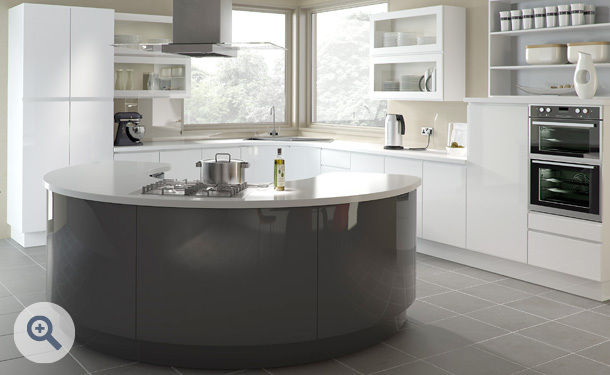 The Handleless Europe design is also available in ALL high gloss finishes. Please Note: The Handleless Europe design is not available in any high gloss finishes.